Identive’s ACIG Technology subsidiary has been picked as the exclusive supplier of NFC stickers for the Austin, Texas roll-out of the search engine giant’s Google Places local recommendation service. Google has chosen ACIG Technology as the exclusive supplier of NFC stickers for the roll-out of its marketing campaign for Google Places in Austin, Texas. The stickers are manufactured by another Identive Group company, Singapore-based Smartag. Google is currently distributing the 80x50mm stickers to local business owners throughout Austin to help them promote their products and services and encourage people to rate and review the businesses on its new Places local recommendation engine. Austin is the second location for its roll-out of NFC-based marketing services, following the December launch of Google’s first NFC service in Portland, Oregon. Roger Hornstra, president at ACIG’s US operation, said he was excited to be working with Google in promoting and introducing the new technology. Bernardo Hernandez, senior director of consumer marketing for Google, added that the partnership would drive forward the service for consumers to connect with local retailers. 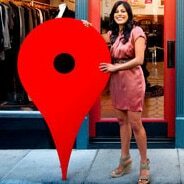 Meanwhile, Google has rolled its experimental Hotpot recommendation engine into Google Places, its core local product offering. It has also launched marketing and community campaigns in three more US cities: Las Vegas; Madison, Wisconsin; and Charlotte, North Carolina, now join Portland and Austin as cities sprouting the firm’s distinctive NFC-enabled window stickers.